DETROIT -- Ed Welburn, General Motors’ head of global design who radically transformed the look of the automaker’s car and truck lineups, is retiring effective July 1. 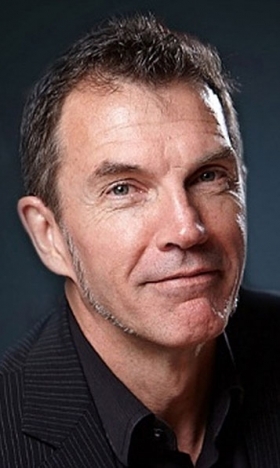 He will be succeeded by Australian Michael Simcoe, vice president of design at GM’s International Operations, the company said today. Simcoe, 58, is the first non-American appointed to the top design post at GM. He will begin taking over for Welburn on May 1. Simcoe began his career as a designer at GM Holden in 1983. More recently, as head of exterior design for GM in North America starting in 2004, he led the design development of many cars and light trucks, including the GMC Terrain, Buick LaCrosse, Chevrolet Camaro and Equinox, and the Cadillac CTS sedan, wagon and coupe. General Motors CEO Mary Barra, who formerly headed the automaker’s product development efforts, praised Welburn’s work and career. “He nurtured a creative, inclusive and customer-focused culture among our designers that has strengthened our global brands,” Barra said in a statement. 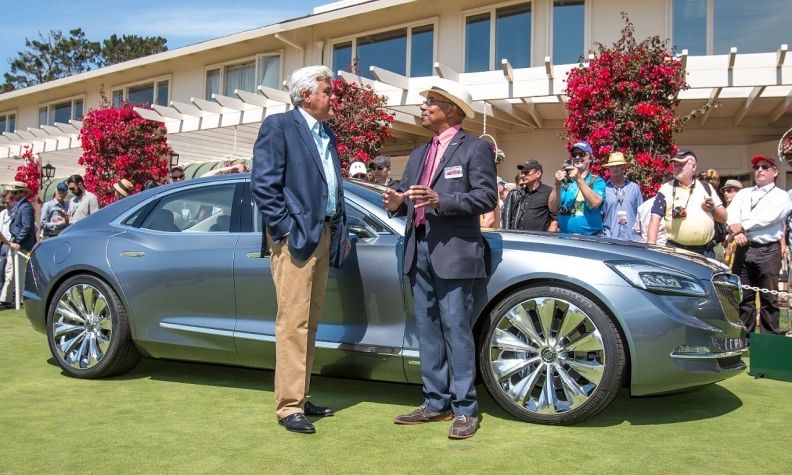 Jay Leno, left, and Welburn with the Buick Avenir concept at the Pebble Beach Concours d'Elegance in August 2015 in Pebble Beach, Calif. Working for GM is the only career that Welburn, who turned 65 in December, ever pursued. As an 11-year old boy growing up in Philadelphia, he wrote to GM seeking advice on how he could become a car designer. The letter was answered, and Welburn -- just the sixth man to ever steer GM design -- was on his way. Welburn’s GM career spanned 44 years. He graduated from Howard University’s College of Fine Arts and started at GM in 1972 as an associate designer, becoming the company’s first African-American designer. Two of the first cars he worked on were the Buick Park Avenue and Riviera. Three years later, Welburn moved to Oldsmobile’s exterior studio, which launched his rise up GM's design ranks and corporate ladder. In 1989, Welburn became chief designer for Oldsmobile, where cars such as the Aurora -- which showed influences of the classic ’66 Toronado -- Cutlass Supreme convertible, Bravada SUV and others took shape. He took on an assignment in 1996 with GM’s import-oriented Saturn brand, which led to an overseas post in Germany, where Welburn helped guide the creation of global design programs. Simcoe began his career as a designer at GM Holden in 1983. Welburn became director of GM’s advanced design organization in 1998, where he managed the teams working on innovative vehicles for all of GM’s brands. He later oversaw the design for GM’s body-on-frame vehicles, trucks and SUVs. In the fall of 2003, Wayne Cherry announced plans to retire as head of GM design, and the company promoted Welburn to replace him, naming him vice president of North America design. In 2005, his title became vice president of global design. In 2003, GM had 11 major brands globally. One of Welburn’s first and most important tasks was to introduce common working procedures and programs throughout GM’s vast global design studios. Welburn’s stamp on GM design really took off after the company’s 2009 bankruptcy pared the company’s North American brands from eight to four -- Buick, Cadillac, Chevrolet and GMC. 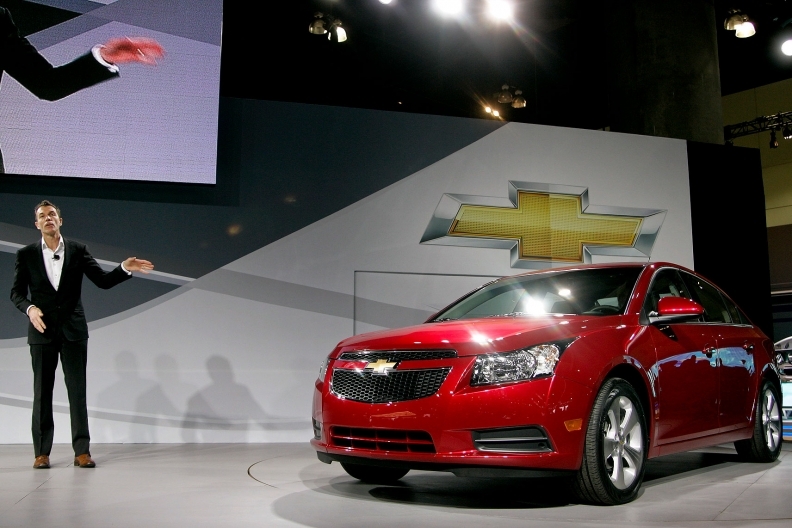 Mike Simcoe, then head of design for Chevrolet, with the 2011 Cruze at the 2009 Los Angeles auto show in Dec. 2009. The design language of the surviving brands, especially those of Chevrolet and Cadillac, has been continually refined and, in the case of the Chevrolet Corvette, advanced. The latest Corvette takes on a meaner look than previous models and ditches one of the car’s most iconic styling cues: round taillights. Welburn took some initial heat for the move, but the rancor quickly died down, and sales of the seventh-generation car have been strong. Interior styling is another area that was prioritized under Welburn, with some of the biggest changes appearing in GM’s pickups, the Chevrolet Silverado and GMC Sierra, and in Cadillacs. 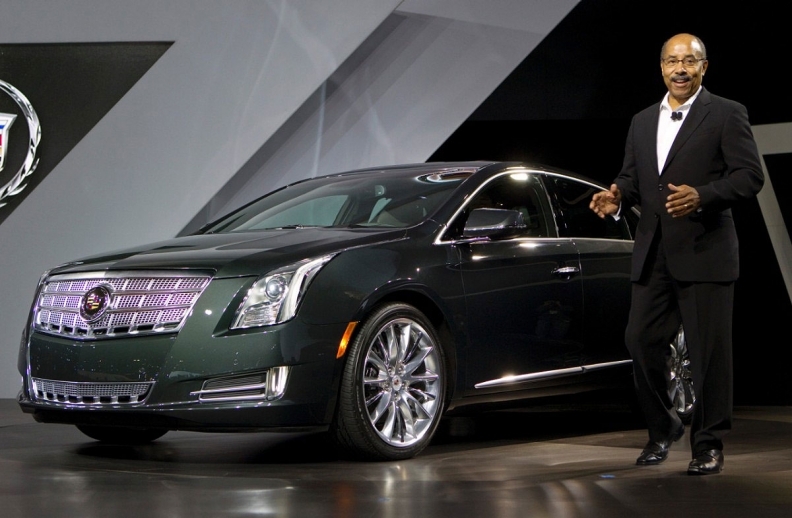 Welburn introduced the 2013 Cadillac XTS at the Los Angeles auto show on Nov. 16, 2011. Simcoe takes over for Welburn at a time when GM’s U.S. lineup is fairly fresh, though some aging crossovers are scheduled for redesigns over the next few years. The past two auto show seasons, GM has introduced Buick concept cars with refined grilles and softer lines and angles. 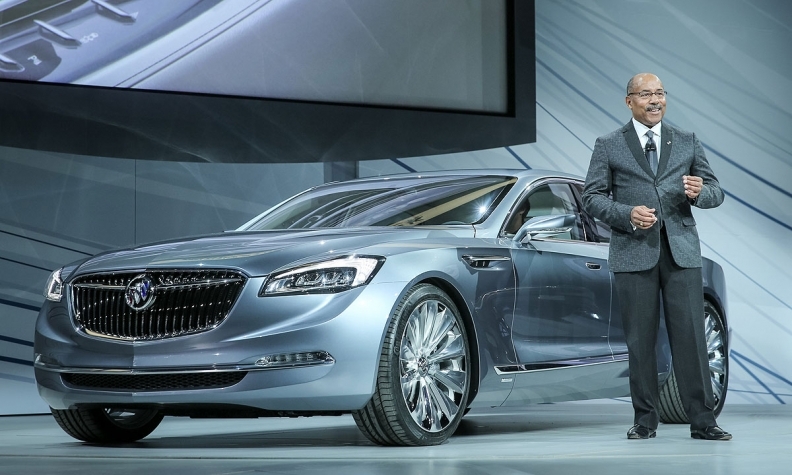 Some of the concept cars produced under Welburn -- the Cadillac Elmiraj and Buick Avista, for example -- have garnered praise from some of GM’s toughest critics in the media. After Welburn turns the reins over to Simcoe, and before he leaves in July, he’ll work with the architects designing GM’s new design center, part of a $1 billion-dollar investment in the company’s sprawling Warren, Mich., tech center.